Residues of veterinary pharmaceuticals may enter water and soil via manure and dung. Farmers can reduce this environmental impact through their farming practices. These teaching materials were designed for agricultural vocational schools. They contain worksheets, information on classroom design and background information for teachers. The teaching materials are available to teachers and learners for free use. These teaching materials are intended to sensitise trainees from agricultural vocational schools to the problem of the environmental effects of veterinary pharmaceuticals so that they can subsequently develop action-oriented solutions. The teaching materials were developed under the lead of Ecologic Institute for the German Federal Environment Agency (UBA). Umweltbundesamt (ed.) 2018: Umweltwirkungen von Tierarzneimitteln. 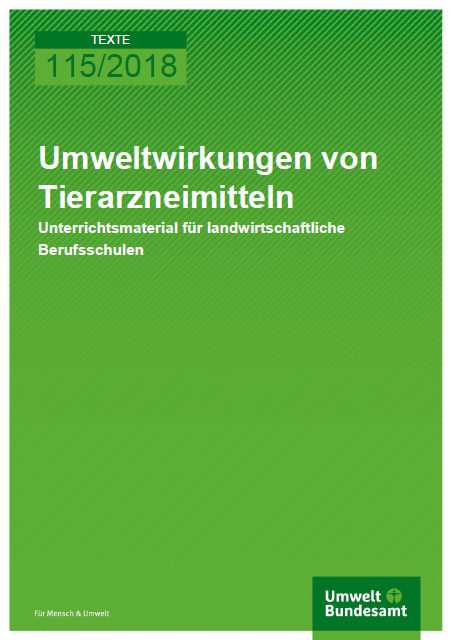 Unterrichtsmaterial für landwirtschaftliche Berufsschulen.